Do you work in or around confined spaces? 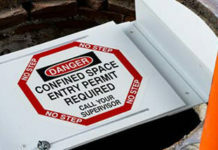 Confined spaces – such as manholes, crawl spaces, and tanks – are not designed for continuous occupancy and are difficult to exit in the event of an emergency. 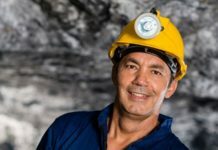 People working in confined spaces face life-threatening hazards including toxic substances, electrocutions, explosions, and/or asphyxiation. 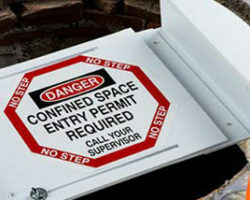 OSHA has a new confined space rule that is exclusive to construction (29 CFR Part 1926 – Subpart AA). The standard sets forth requirements for practices and procedures to protect employees engaged in construction activities at a worksite with one or more confined spaces. Our course ensures construction workers stay compliant with the new rule. Confined space entry training for Construction is based on OSHA 29 CFR Part 1926 – Confined Spaces in Construction. 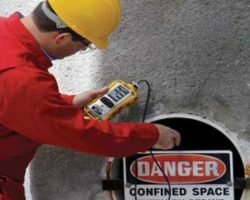 Confined space entry training for the General Industry is based on OSHA 29 CFR 1910.146 – Permit-required confined spaces standards for general industry. The Confined Spaces Entry Training in Construction safety course is a detailed review of confined spaces for attendants, entrants, supervisors and managers where the student will learn about OSHA’s new Confined Spaces in Construction regulation (29 CFR 1926 Subpart AA) and its fundamental requirements. Newly Updated – The Confined Space Entry Training for Construction course has been updated for the new Subpart AA of 29 CFR 1926. This update improves the construction workers from being involved in accidents or injuries that are related to confined space hazards. confined space entrants, attendants, entry supervisors, competent persons, safety managers, supervisors, and foremen. manufacturing, petrochemical, oil and gas, and utility industries. Have a basic knowledge of the general use and limitations of related equipment. Students must have a minimum score of 80% to pass the quiz at the end of each section and the final exam at the end of the course. You will be given 3 attempts to pass the quizzes and the final exam. Upon successful completion of the course, you may be able to print the corresponding training certificate on demand. Supplementary training may be required, depending on site-specific standards. 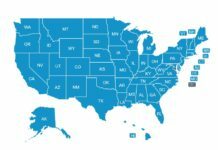 Enrollees are recommended to contact local regulatory authorities for complete OSHA construction confined space training guidelines. Temporary Enforcement Policy for Residential Construction Work in Confined Spaces (PDF). OSHA Memo, (January 6, 2016). Temporary Enforcement Policy for Construction Work in Confined Spaces. OSHA Memo, (July 2015). Frequently Asked Questions, June 2016. 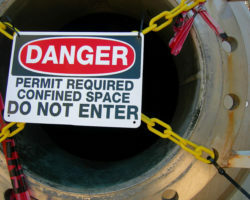 OSHA issued a final rule for confined space in construction, increasing protections for construction workers in confined spaces, which went into effect on August 3, 2015. 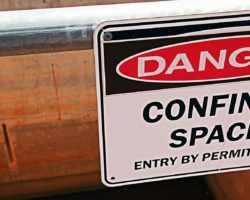 Confined spaces include manholes, crawl spaces, tanks and other spaces not intended for long-term occupation. Employers had until October 2, 2015 to fully comply. 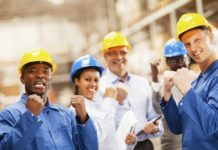 Overall, the new rule offers construction workers similar protection to that of manufacturing and general industry workers. Differences unique to construction include requirements that ensure multiple employers share vital safety information and to continuously monitor hazards. OSHA expects that the rule will prevent nearly 800 injuries a year. Preventing unauthorized employees from entering the space. Providing temporary covers when a confined space entrance is uncovered. Having a written permit space program available to employees prior and during entry operations. Providing training for employees to ensure they possess the required understanding, knowledge and skills to stay safe. Ensuring safe rescues by providing employees with proper personal protective equipment (PPE) needed to save workers in danger. Calibrating and Testing Direct-Reading Portable Gas Monitors. OSHA Safety and Health Information Bulletin (SHIB), (September 30, 2013). 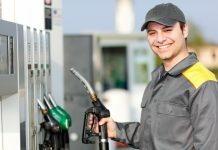 Provides workers and employers guidance on calibrating and testing direct-reading portable gas monitors (hereafter, “DRPGMs” or “instruments”). Small Business Handbook (PDF). OSHA Publication 2209, (2005). Contains basic information about occupational safety and health, with specific focus on the needs of small business. Confined Spaces. 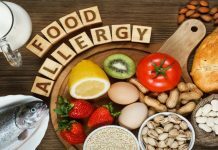 National Ag Safety Database (NASD). Provides a linked reference to several videos relating to confined space entry. ANSI Z117.1 Committee. American Society of Safety Engineers (ASSE). Construction workers and professionals who work in or around confined spaces are constantly exposed to life-threatening hazards. To further protect the workforce against evolving risks, the Occupational Safety and Health Administration (OSHA) issued a confined space standard that is specifically designed for construction work. The Confined Spaces Entry Training in Construction safety course will explain the scope, definitions, requirements, processes and permits, training, duties of confined spaces personnel, rescue and employee participation requirements. It will also present a clear understanding of the requirements of OSHA’s Confined Spaces in Construction Standard (29 CFR 1926 Subpart AA). Courses meet Federal and State training requirements and provides compliance with OSHA 1910.146 for general industry employees and OSHA 1926 Subpart AA for construction employees.